Your Freelance Business Needs a Website and Blog. Here’s 5 Reasons Why. You started freelancing your skills online, refined your pitch, and landed a few gigs on job boards like Upwork and Fiverr. So far you made some side money, but nothing that can support a part-time or full-time income. Frustrating, I know. You and thousands of other freelancers are in the same boat, stuck looking for jobs that pay little to nothing. What if I said you could be making more money if you started your own freelancer website and blog? Its true, if you have your own website and publish 11 or more articles per month, you are four times more likely to have clients coming to you for your services. A website with a blog is a tool that establishes credibility, markets your services, builds your brand, and sells your products. Your blog sparks interest in your services which ultimately converts traffic into sales. Meaning, less searching for online gigs and more clients for your business. Lets dig deeper into the 5 reasons your freelance business needs a website and blog to generate more long-term income. Expertise is, “the extent to which a communicator is perceived to be a source of valid assertions.” Your perceived level of expertise influences how much readers trust your services. Plus, people are willing to pay an expert more than they are a novice. The effects of perceived expertise and behavioral compliance are well researched in psychology. A study done by Richard Crisci and Howard Kassinove showed that, “compliance to doctor’s recommendations varied with perceived level of expertise and strength of advice.” The higher the level of perceived level of expertise, like if the doctor wore a coat, the greater the compliance to the doctors recommendations. Another performed by Golbeck and Fleichmann found that content, especially photos of freelancers engaging in work, enhanced perceived trust and knowledgeability in non-experts. The research is convincing- you do not necessarily need to be an expert to start freelancing you just need a few tools to enhance your perceived expertise to land more gigs and make more money. A website is one of these tools. The content of your website reflects your integrity, trust, and professionalism in the form of your web design, blog content, portfolio, and testimonials. Own It: Do not minimize your knowledge. You are more knowledgable now than you know. Share it: Create knowledgeable content and share it in your blog. Make your expertise beneficial for others. Prove it: Gather testimonials from previous clients and display them on your website. Sell it: Provide courses, ebooks, and consulting services to establish credibility. The strength of your freelance business is directly related to your perceived level of authority. By setting up a website and sharing your knowledge in valuable content, people will see you as an expert. The greater the level of expertise, the more consumers will trust and hire your services. Content marketing is an umbrella term that refers to the sharing of online content in the form of videos, blogs, and images to spark interest in your brand, services, or products. 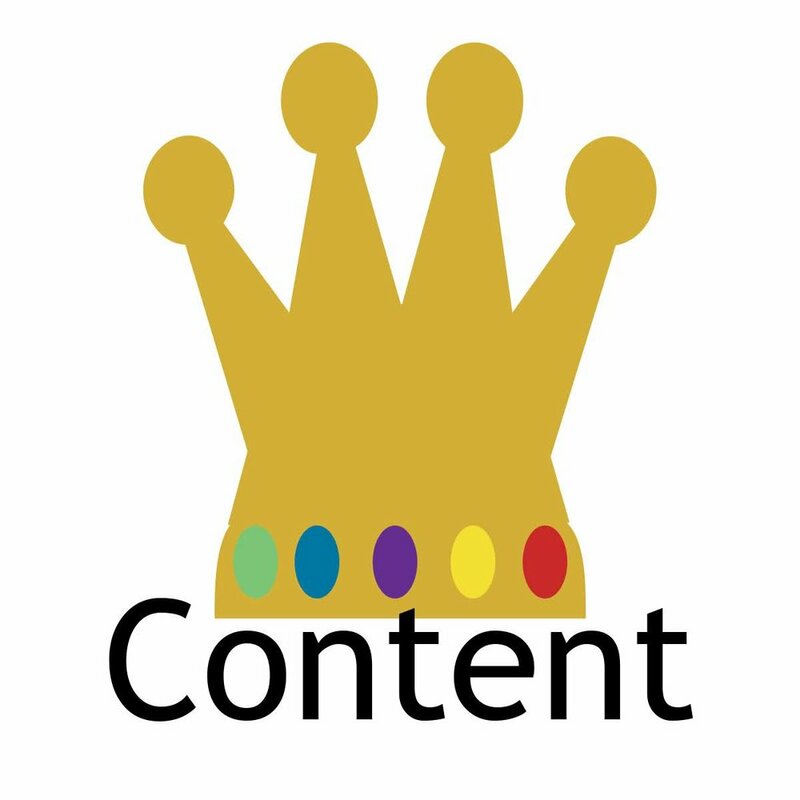 In 1996 Bill Gates famously predicted that, “Content is King” and he was right. In 2016 the content marketing industry was worth $195.58 billion and is currently predicted to be worth $217.3 billion in 2021! Holy mole! Today content is definitely king but why has the content marketing industry grown so much in 4 years? The intense growth is attributed to consumer feedback. Consumers no longer respond to or want hard sales like advertisements or pitches. In fact people hate ads. Myself included. Today 615 million devices have ad blocker technology because ads are perceived as spammy nuisances that disrupt our lives. Hard sells just don’t work effectively anymore. In response, marketers pivoted to provide consumers with soft sells in the form of content, and to their surprise written copy and videos worked much better than hard sale strategies. Content marketing works so well that businesses with content strategies enjoy three times as many leads than ones without. Statistics prove that content marketing is effective thus, businesses are geared to providing more copy, especially in the form of blogs. Though many predict that video content will dominate in 2019. Why? Because content converts to sales! But how does content marketing and blogging work so well? Today, people want to know “what’s in it for me?” and “what kind of benefits will I receive?” Consumers like to learn how to solve problems and be successful in endeavors so they naturally gravitate to online content that will help them succeed. Successful content marketers understand consumers are looking for solutions to their problems so they provide answers in the form of prescriptive content. Prescriptive blogs, videos, and infographics addresses consumer challenges upfront by providing readers with how to’s, life hacks, and guides to success. In 2016, prescriptive content accounted for 97% of all the content published because creators realized consumers devour it purely because it benefits the consumer in the form of answers and solutions. Today if your copy does not address your audiences struggles, problems, and issues (what marketers call pain points) then your content will never convert into leads or sales. Boiled down, prescriptive content is really just realizing what problems your followers have and providing a product, service, or content to answer their issues. The challenge is successfully creating a product that will truly solve your consumers struggles. Consumers like to do research before they decide to buy a product or a service. The average consumer reads 11.4 pieces of content before purchasing. Reading your content will help them establish your credibility, knowledge, and expertise, as we touched on earlier. If your selling a product, then your content will also allow consumers to review comments and testimonials which carry more relevant information from previous buyers. The more content you offer, the more you allow customers to make an educated decision if your services and products are the best fit for their needs. Seth Godin, the father of modern marketing, claims marketing strategies fall into two categories, “permission” and “interruption” marketing. Interruption marketing comes in the form of television ads and pop-up banners. The consumer does not choose to see the ad, it just interrupts their daily tv show. On the other hand, permission marketing comes in the form of blogs, videos, and photography that an audience chooses to consume. The key stone of permission marketing is about creating content that marketers know audiences want to consume so they will “opt-in”. Since the consumer purposefully chooses to opt-in, the marketing strategy is arguably more effective. Permission marketing relies on the power of choice. When consumers choose to read your content they will pay more attention to the marketing message on the inside. A content marketing strategy revolves around providing valuable media that enriches readers lives, while allowing them to choose to listen to your marketing strategy. A blog is a great platform to provide copy to your audience as a method to market your freelance services. For these reasons, we highly suggest starting a blog for the sole purpose of putting a content marketing strategy in place. Working remotely and online is one of the many perks of becoming a freelancer. Meaning, all of your clients are browsing the internet searching for freelancers to complete their gigs. Thus, providing an online portfolio that clients can easily peruse via links to your website, is important for landing gigs without having to search for them. In addition, your blog further verifies your skills if you provide content that directly speaks to your craft. For instance, if you are a web designer, and your portfolio is a compilation of various website designs plus your blog shows readers how to build websites, then clients will see you as real expert in your field because your portfolio provides examples and your blog demonstrates your expertise. If you want to learn more about how to build a killer online portfolio that lands you gigs, read my blog post here. Your audience in marketing terms, is the specific group of people you intend on reaching through your content. When you provide valuable copy that readers love and continue to come back to, you are building an audience. How does a blog build your audience? A blog builds a community by bringing people of various backgrounds and demographics together through a common interest or problem that your blog addresses. A blog that tackles multiple issues from different perspectives will expand your audience base. By providing valuable copy in the form of successful how to’s and life hacks a happy audience will share your content automatically expanding your reader base. Thats what you want! Why is building your loyal audience important? A dedicated following is important because it is less work to keep existing customers than it is trying to create new customers all the time. Keeping your churn rate (the rate at which customers come and go) low, will build your audience faster in addition to building loyal followers. Loyal customers are key because they share and promote your content more, write positive testimonials, and buy your services. One of the quickest ways to make a profit from your page, besides selling your services, is to sell products on your freelancer website. Examples of products you can sell are ebooks, courses, and presets (filters for social media). Consumers love ebooks and courses because they organize information into one convenient place without having to perform any independent research. Selling non-fiction books and courses on your own site rather than 3rd party platforms like Amazon Ebooks, Amazon Services, Udemy, or Skillshare gives you a greater earning power per book or course. It is easy to justify pricing your products higher on your own site because readers are accessing your insider knowledge and expertise directly, which will help them quickly earn back the initial money they invested in your product. In addition, selling products on your own site is more profitable because you do not have to pay 3rd party fees to post your products. For instance on Amazon Kindle Direct Publishing you have two options, to take 35% royalties or 70% royalties. Yikes! That means amazon takes 65% or 30% of your cut. Udemy takes a revenue share depending on how students enrolled in the course. Overall, if you sell on your own site you get 100% royalties minus the start-up costs, which means more money fo you. Freelancing is an incredibly rewarding career with various benefits and immense earning power if done properly. Job boards are great for beginner freelancers who are building their portfolio, but not an ideal long term plan to make more money and have clients coming to you. Building a website and writing a blog for your freelance business, are ultimately strategies to move away from job boards, have clients come to you, and earn passive income. Your website can do this by establishing your credibility, driving traffic to your site, building your audience, and selling your products. Creating a website and a blog are long term investments. Neither are simple or easy, but if you consistently create content and optimize your webpages, then you will reap the benefits of owning your own online business. Are you convinced that your freelance business needs a website with a blog? Leave comments with why or why not!